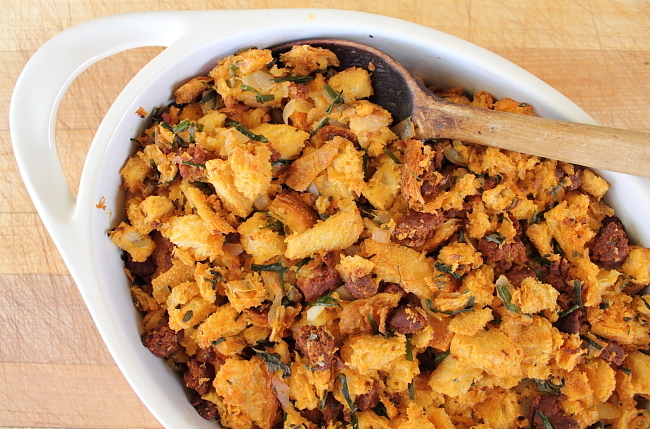 Chouriço stuffing is a traditional Portuguese-American food that is typically enjoyed on the day of Thanksgiving. The stuffing itself is a very standard and traditional style of Thanksgiving stuffing but with the nice added addition of the chouriço’s rich and smokey flavor. 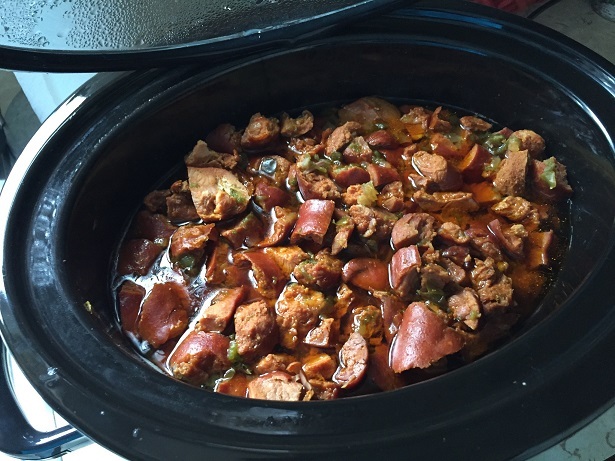 It is a simple and easy to make dish that will surely be enjoyed by all for the holidays. 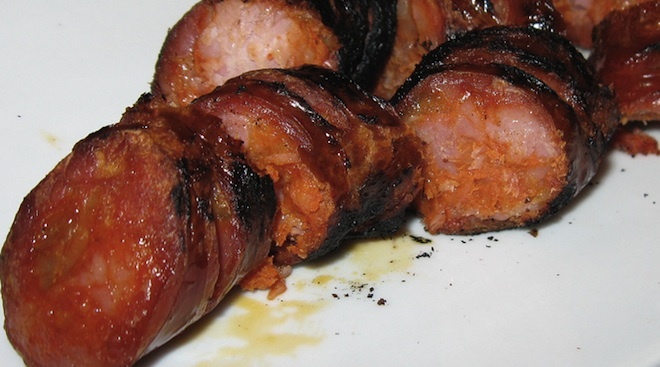 Portuguese chourico is extremely flavorful and just the right amount of spicy. Grilled Chourico, or Chouriço Assado, is a very traditional technique of flame grilling this delicious sausage. 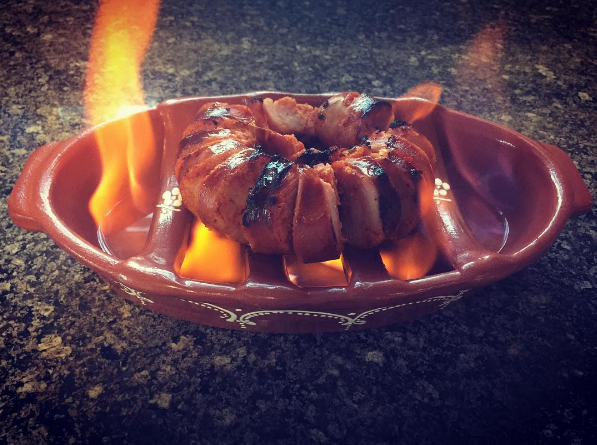 It utilizes a signature ceramic bowl called a assador de barro for cooking the chourico along with some agua ardente, or high content alcohol, to flame grill the chourico in a easy and quick way. This is a great snack to enjoy in the summer alongside a cold drink like a Portuguese beer. Folars are a traditional Portuguese bread typically served during the time of Easter. Folar de Chaves originates in the north-eastern Portuguese regions of Chaves. 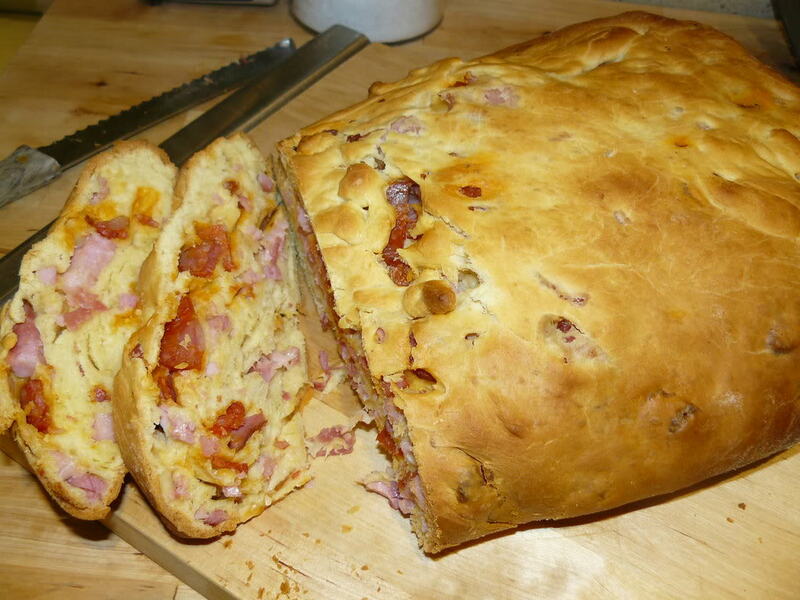 It is a savory egg rich meat bread which is stuffed with various signature Portuguese meats such as chouriço and presunto (ham), although there are many variations with different meat components. This bread is hearty, filling, and absolutely rich in flavor. Great for serving during Easter and other holidays with lots of hungry guests. Arroz de Sarrabulho is a very unique and traditional meat and rice stew dish in Portuguese gastronomy, originating in the northern region of Portugal in Minho. Parts of the pork are cut into small pieces, which are spiced and marinated in cumin and red wine and then cooked in blood. 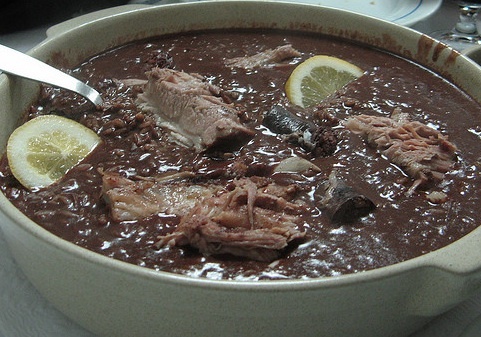 This dish is not for the faint hearted and has some of the most unique flavors in Portuguese cuisine. This recipe is a slightly easier and more simple variation on the original. Arroz de Sarrabulho is typically accompanied best with some bread for dipping.